It is highly scalable and highly performance container service that makes easy to run,stop and manage Docker containers on a cluster of EC2 instances. The Docker containers that you currently use, will run eactly the same on Amazon ECS. Aws ECS eliminates the need to install, operates and scale your cluster infra. ECS enables you to grow from single container to thousands of containers across hundreds of instances without any struggle. 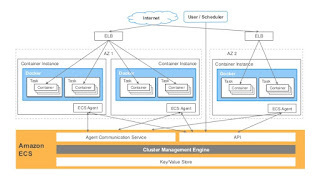 ECS supports Docker and enables to run docker containers across cluster aws ec2 instances. 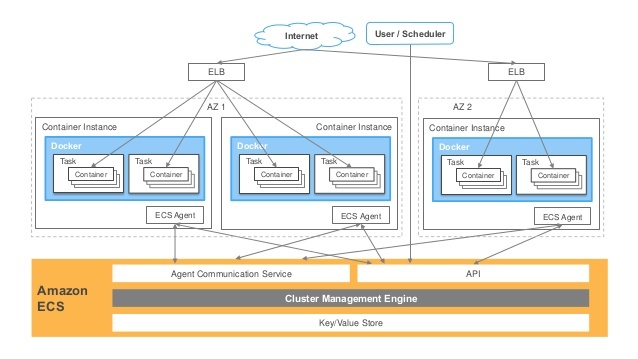 With ECS, you need to launch a cluster of container services and specify the tasks you want to run. Monitor the containers with centralized service. The only thing you need to manage is container instances by yourself. It is fully managed Docker container registry.